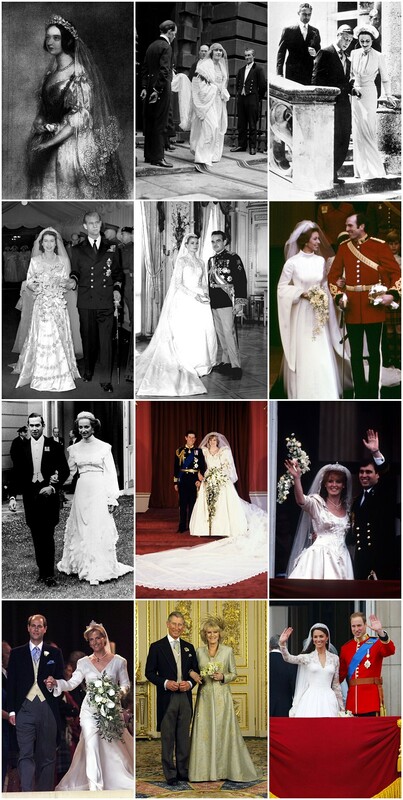 Congratulations Harry and Meghan – A Look at the Royal Wedding Dresses Through the Years. Unless you have been living under a rock for the past few months, you will know that today is a very exciting day in British history. As today Prince Harry who is 6th in line to the throne will be marring his American sweet heart Meghan Markle. Personally I am super excited for today, as you know I love a good wedding here at Boho and a Royal wedding is the icing on the cake. It has been fantastic having weddings in the forefront of everyone’s minds over the past few weeks. All the wedding related stories across the news and internet, hearing other people’s love stories has just been lovely! The speculation on who has designed her dress, the flowers, the cake, all such fun! I can just imagine how they are both feeling right now because, after all, even though they are used to being in the media, they are still just two people deeply in love currently getting ready for their wedding ceremony and probably just as nervous as you will be/were on your wedding day. So I wanted to take the opportunity to congratulate Harry and Meghan and wish them the very best for the future. I can’t wait to see what the day has in store for them.